. إن الخدمات الممتازة وحسن الضيافة العالي في Cairns Reef Apartments & Motel تجعل إقامتك تجربة لا تنسى. إن واي فاي مجاني في جميع الغرف, مرافق مخصصة لذوي الاحتياجات الخاصة, تسجيل وصول/خروج سريع, تخزين الأمتعة, واي فاي في المناطق العامة هي جزء فقط من الخدمات التي تميز Cairns Reef Apartments & Motel عن باقي الفنادق في المدينة. بالإضافة لهذا,تتضمن كل غرف الضيوف مجموعة واسعة من وسائل الراحة . بعض الغرف توفر حتى اتصال لاسلكي بالإنترنت, اتصال لاسلكي بشبكة الإنترنت (مجاني), مكيف هواء, تدفئة, مكتب لإرضاء أكثر الضيوف تطلباً. يمكنك الاستمتاع بالأجواء المريحة التي تقدمها مسار جولف - ضمن 3 كم, حمام سباحة خارجي, ملعب تنس, حديقة طوال النهار. إن Cairns Reef Apartments & Motel هو مكان مثالي للمسافرين الذين يتطلعون إلى الراحة والاستجمام في كيرنز. الاثنين إلى الجمعة: 09:00 صباحًا - 05:30 مساءً من السبت إلى الأحد: 09:00 صباحًا - 03:00 مساءً. Nice staff, good location, quiet and good value for money. Cleanliness needs to be addressed, as the tiled floors were sticky and filthy. After our baby had a wash, her feet, legs and hands were almost black after 30mins of crawling on the floor! I washed her again, and avoided putting her on the floor thereafter. No hot water. Air cons barely worked. Old looking. We booked a two-bedroom apartment initially which was available at the time but was told that it was not available soon after. Then this required us to be booked into a different apartment and had to pay an additional $20 on check-in. We were also told before our arrival that we could check-in at an earlier time of 10am, but this was not the case when we arrived. We were only able to check-in at 3pm as the room was still being cleaned. Not the best place to stay and would not recommend. The room is clean. The facilities are good. The neighborhood is quiet and it feels safe. Thank you Keryn for your hospitality! I love the motel room, which includes everything I need. The microwave is very useful! This was very good value for money. Facilities were good with the pool and family been able to cook and wash in the apartment. Very nice place to stay. 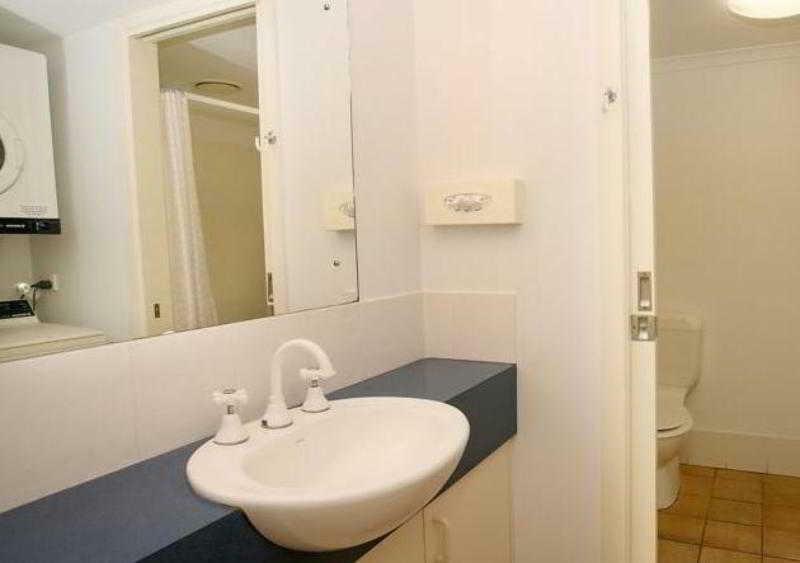 Clean, tidy, huge room and best of all it has a bath. 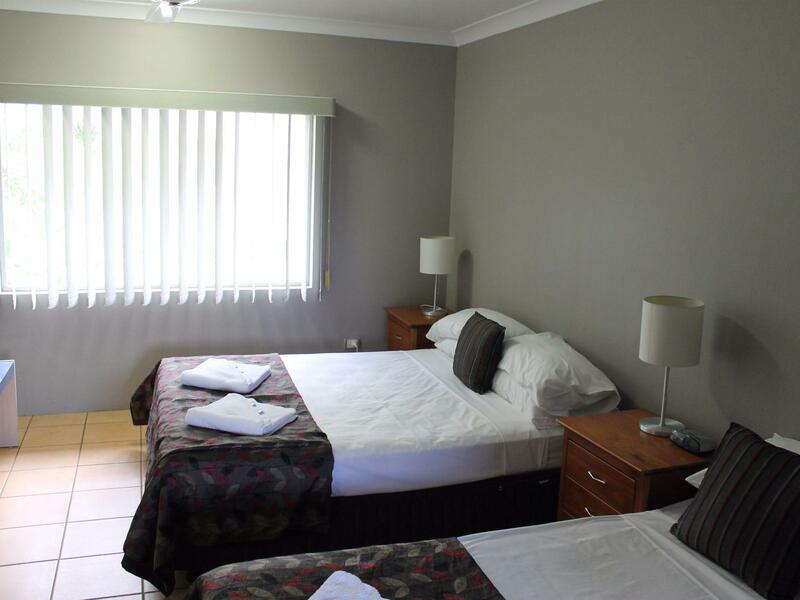 This motel had lovely staff, was clean, comfortable and not too far from the city. Perfect if you have car. 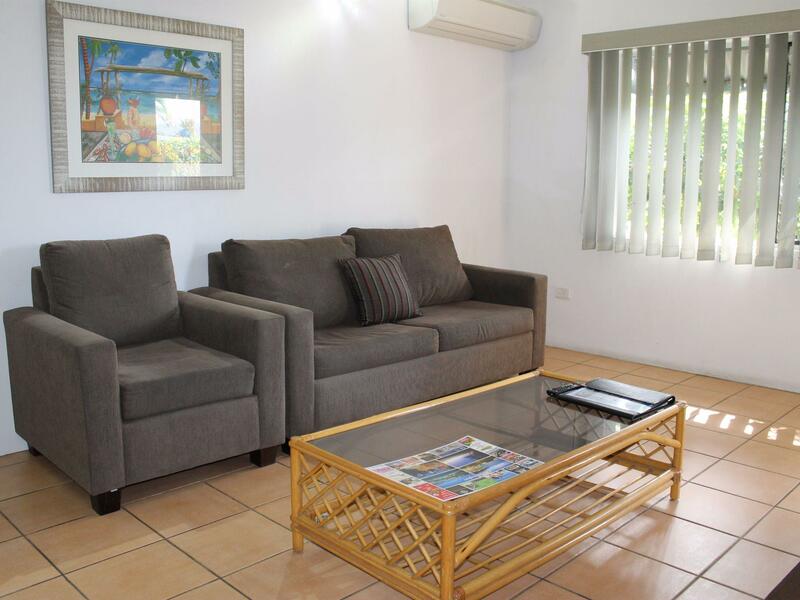 The Cairns Reef Apartments are a great value for money family holiday venue. 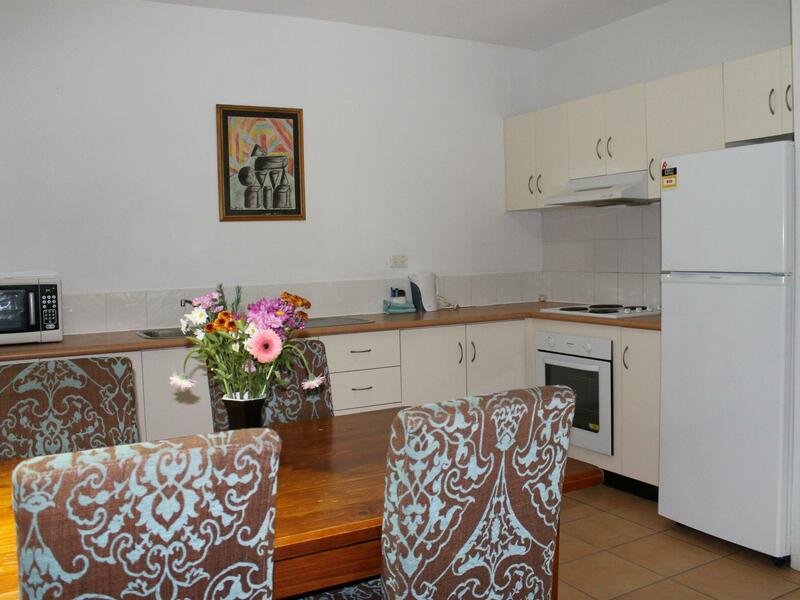 Very clean and comfortable apartment with good facilities. 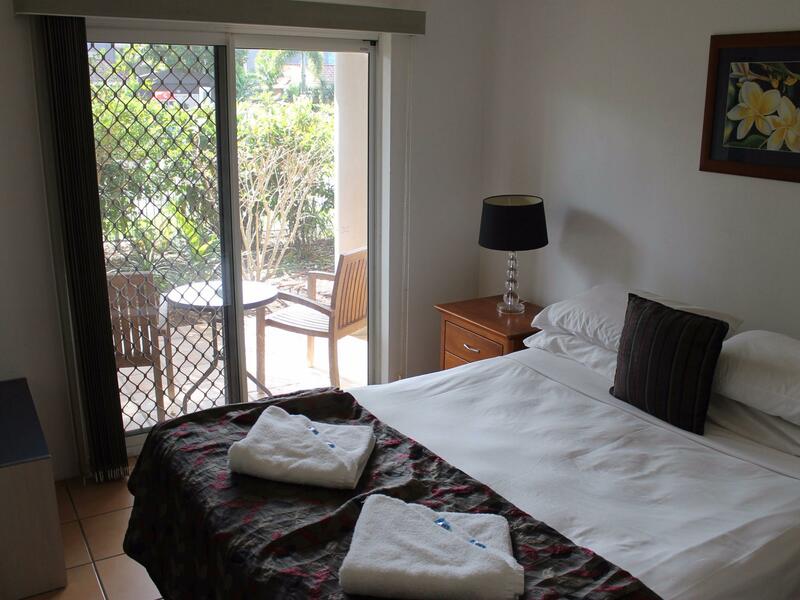 We stayed in a decent sized two bedroom apartment that suited four adults and one teenager. Lovely garden setting and bbq facilities around pool area. Shops a short drive or 10 min walk away. Great facilities. Clean and modern. Would stay again. very helpful staff Karen, She is amazing.